A dropping and clearing river greeted the competitors for the sixteenth round of the RiverFest 2017 qualifiers and hopes were high for big weights. 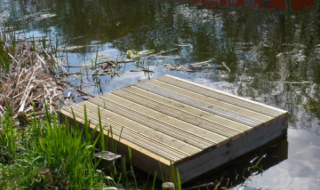 However, the low water temperature resulted in many of the anglers struggling for bites. 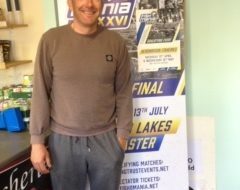 Dan Ashington won A Zone with the top weight on the day, a level 26-0-0 from peg 19 below the bridge at Linley. His catch of four barbel fell to meat and pellet baits. 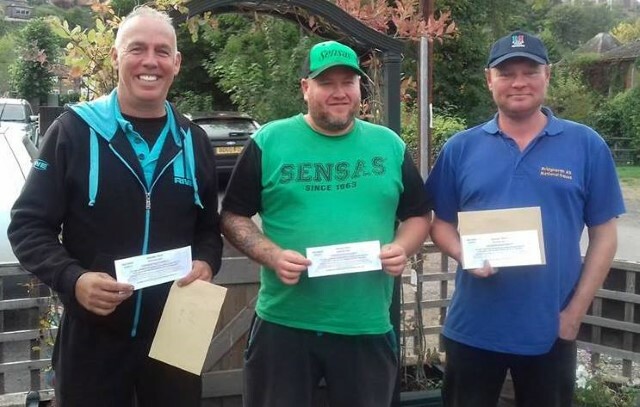 Second overall was Adrian Paddock who made his second successive final with a mixed barbel and chub catch on pellet and caster feeder to weigh a level 23-0-0 from B Zone, peg 91. Third was Dave Beecroft who deservingly qualified after several attempts with a top weight in Zone C. He netted barbel and chub plus dace on float gear for a level 22-0-0 from peg 147. 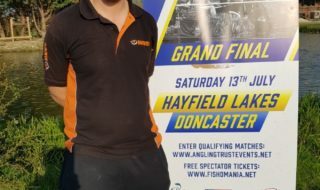 Fourth on the day was Mick Crossville who was agonisingly only 4oz’s away from qualification with 21-12-0 from peg 197. Nigel Bull was the fifith man past the post bagging a very respectable 19-10-0 in the five hours from peg 53. Thanks go to organiser Dave Lloyd and his team for another well run qualifier.